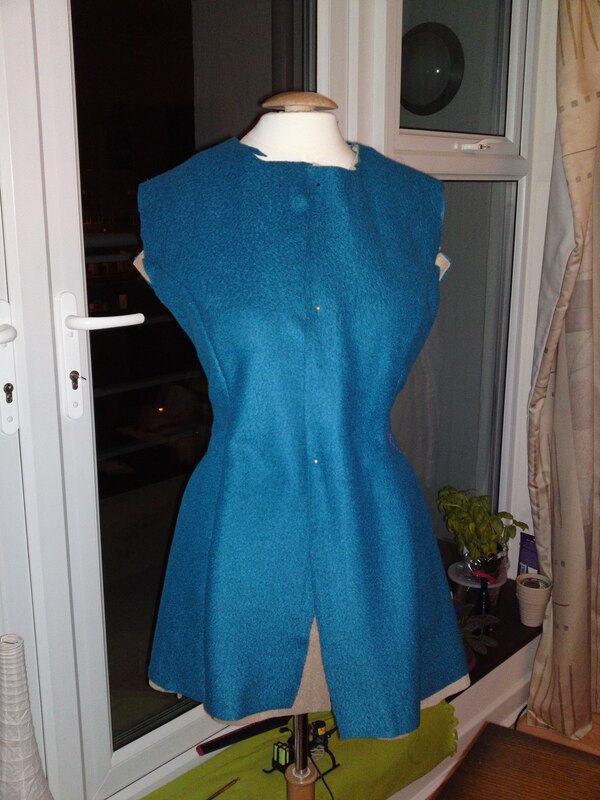 It took me a couple of months, BUT, I finally managed to take out the sewing machine and sit down to it and start piecing together the blue victorian jacket!! And I keep thinking I either cut the pattern wrong, or it’s made wrong, because it has come out for a HUGE version of me. Not my size at _all_! 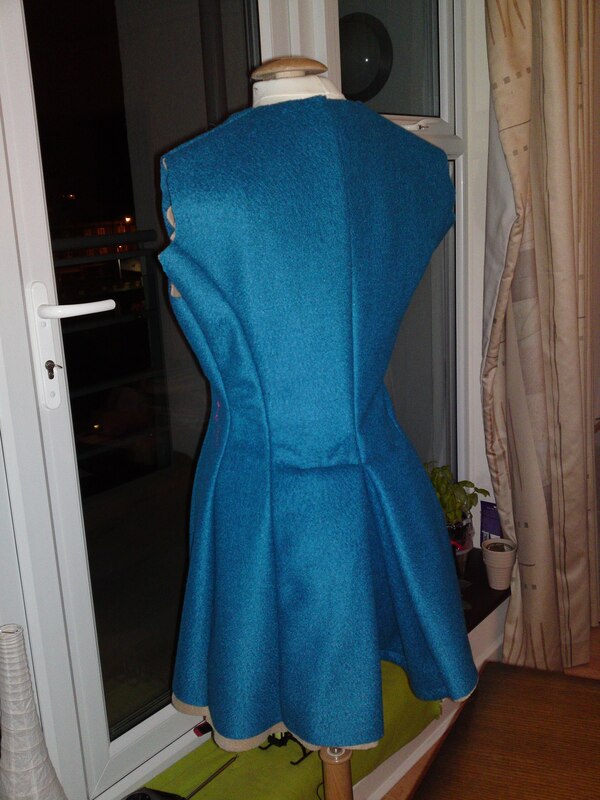 I am reluctant to alter the main pieces, but I have begun alterations to the sides. See below putting through a second (inner) seam on the side, as the original one (although fairly deep to begin with) still yields a gigantic jacket on me. Not helping at all, is that the seams of wool + fleece x2 (4 thick layers) are quite huge. But now that it’s been assembled and put on the doll, I can see it better. The back flap _is_ a bit big… But it’ll make like a delicious apple-bottomy bustle. So that could be very cool. As long as I successfully make the waist to be my size and not some tube. 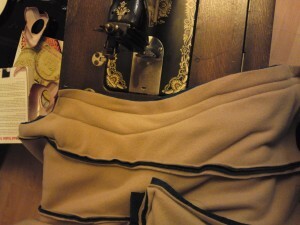 Even now, on the doll, the waist is much too big. 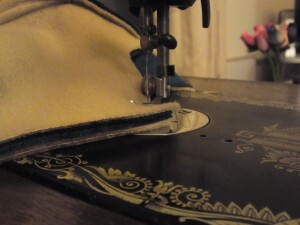 I’m thinking I’ll take it in on the back seam, so the princess seams down the back will be in a better position instead of being tugged to the sides.